Build your dreams on this lovely lot in the Deep Creek community! Build your own home, your dreams and your own memories on this property. 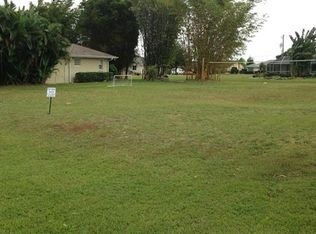 This 80′ x 120′ lot at 26389 Bridgewater Rd, Punta Gorda, FL 33983 in Charlotte County. The MLS # is 216071901. You’ll enjoy life in the Deep Creek community! It’s a wonderful deed-restricted community with both retirees and families. Great Location in Punta Gorda! This is a wonderful location with restaurants, stores and fitness centers close by. Close to downtown Punta Gorda, you’ll have access to everything. Enjoy your days golfing at the nearby Deep Rock Golf Course, or boating and fishing from the nearby marina. Or, just relax in your backyard and watch the various southwest Florida birds such as the Sandhill Crane. The seller is motivated! So contact me now. Have a question about this land, listing or purchasing a home? Give me a call now at 239.703.9412 or send me a message at Krisandra@NaplesHomeAdvantage.com.